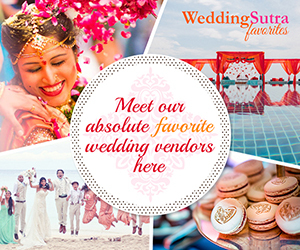 For over 14 years, WeddingSutra has been hosting wedding and bridal related events. Today, WeddingSutra on Location is the most talked about bridal event, and our Wedding Planners Networking Sessions are the go-to event for the industry’s biggest names. In keeping with our philosophy of putting together inspiring experiences for brides-to-be, WeddingSutra and Luxury Consultant Nisha JamVwal hosted ‘Bridal Beginnings’ in association with Zoya. The venue was Zoya’s new store in Linking Road, Khar and the evening saw brides-to-be view Zoya’s exquisite collection- international designs, traditional and fusion polki & kundan jewellery. WeddingSutra understands that when brides-to-be spend time with us, they are not just window shopping for things; they are looking for inspiring ideas and real world advice that they can actually use. And we work tirelessly to make each one of our events, an inspiring and fun affair. So for the evening at Zoya, WeddingSutra and Nisha JamVwal invited four professionals who are the best in the bridal and wedding business- Makeup Maestro Cory Walia, Events Stylist and Bridal Consultant Gurleen M Puri, Ace Fashion Designer Neeta Lulla and Khushi Singh of Percept Weddings. At our events, our intention is never to cram hundreds of vendors into one venue but invite a small group of brides-to-be to meet and interact one-on-one with a select group of wedding specialists. And while Jewellery was the centerpiece of this event, brides-to-be also got to spend time with and ask lots of questions to the four special invitees- Cory Walia, Gurleen, Neeta Lulla and Khushi Singh. They were equally delighted to interact with team WeddingSutra and Nisha JamVwal who spoke about the USP of Zoya- it is India’s finest jewellery brand and probably the only one that unveils a new Diamond Jewellery collection every season, where each piece is exquisitely crafted with the best diamonds and stones. One bride-to-be quipped: “This evening was just like my online experience with Weddingsutra- elegant and informative.” While informally chatting with all the brides-to-be, Neeta Lulla spoke about how the jewellery-ensemble combination is where her interaction typically starts with. 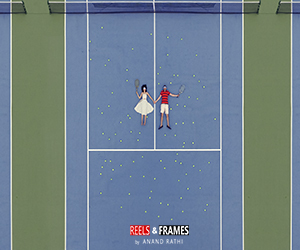 Cory Walia shared lots of interesting anecdotes on getting brides ready- the fun and the last minute tensions. Gurleen whose company Gurleen M Puri has styled some of the most high profile weddings and social events, spoke about how weddings have always been occasions for women to wear and see the nicest jewellery and clothes. And how the new buzzword is not ‘wedding planning’ but styling one’s own event with the help of professionals like her who design weddings. 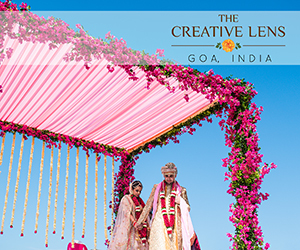 The elegantly designed, keepsake-quality wedding photobooks by Canvera were a hit with everyone present. 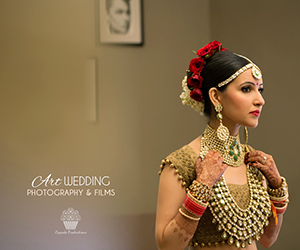 Candid Photographer Dev Purbiya commented how wedding photobooks are like Zoya jewellery- heirlooms. Nisha JamVwal quipped how the images and the evening have revived her wedding day memories, and how she is looking forward to redesign her own wedding album again. 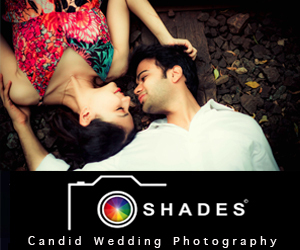 This entry was posted on Wednesday, August 20th, 2014 at 8:17 am	and is filed under Bridal Fashion and Beauty. You can follow any responses to this entry through the RSS 2.0 feed. Both comments and pings are currently closed.